GITA recently oragnised a cricket league match at Shiji maidan in Guntur in which KP Babu and team took the Winners Cup and the Runners Cup was taken by Apple Systems team. The man of the match award was given to Srikanth playing in KP Babu team. Both owners and employees participated. There were 4 teams in total named as Siri Computes Team, KP Babu Computers and Stationery Mart Team, KP Computers Team and Apple systems team. 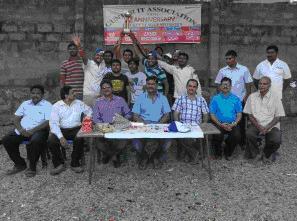 As matches were of 15 overs only the tournament which began at 8:30 in the morning got completed by 3:30 in the evening. There were different sponsors who sponsored the association to conduct the matches, like the lunch was sponsored by Siddhartha computers, Trophies were sponsored by SLN Computers, Snacks and drinks was sponsored by Karthik Infocom, Ground rent and miscellaneous expenses was sponsored by Digi Computer World, Flex banners was sponsored by Sri Vijaya Technologies. The chief guest of the event was K Param Hamsa who is the Indian South Zone Player and the other guest was R Sarath Kumar who is also a South Zone Player, Saraswathi Reddy, a Ranji Trophy Player. Everyone enjoyed the match as cricket is loved by all in India. Cricket match organized by GITA won by KP Baby Team 0 out of 5 based on 0 ratings. 0 user reviews.